Crime solving series are really fun to watch. Not only they have a good plot but also make us aware of our surroundings. These crime solving series sharpen our brain and make us more curious about various possibilities. Here are some crime solving series. BBC Sherlock is based on the original works of Author Conan Doyle. It stars Benedict Cumberbatch as Sherlock Holmes and Martin Freeman as John Watson. The story is set in a modern era where John Watson is shot in a war and returns to London looking for a flatmate. His friend Mike takes him to meet Sherlock Holmes who is also looking for a roommate to stay at 221B Baker Street. When Sherlock and John meet, Sherlock deduces everything about John’s life. Even about his alcoholic sister. John is simply impressed and decides to join Sherlock, a consulting detective, in helping solve a series of crimes. Mycroft tries so spy on his brother Sherlock through John but is disappointed when the new doctor clearly states where his loyalty lies. John starts a blog to talk about their solved cases. Other original characters like Irene Adler, Mrs Hudson, James Moriarty, Mary Watson, etc from Author Conan Doyle Universe also make an appearance. This series is beautifully written and is very engaging. It has a beautiful plotline which keeps the audience on the edge of their seats. At the same time the chemistry between the characters, especially Sherlock and John, is hypnotising. This series is dramatic and hilarious at the same time. Temperance Brennan is a world famous author and also a forensic anthropologist. This means that she can just look at the bones of a person and tell them everything about their life. She is put together with Seeley Booth of FBI to solve homicides. Booth calls Brennan as “Bones” because of the work she does and also to annoy her. Brennan and Booth together solve many cases and make a great name for them, which leads them to be targeted by many psychopaths. Brennan’s team at the Jeffersonian and Booth and his agents, together set off into an unknown adventure. There are many episodes where their past tries to catch up with the duo but they always come out better. Brennan and Booth are defensive towards each other in the beginning but soon warm up to each other and are very protective of each other. This show was really wonderful to watch because of the deductions made by the Jeffersonian Team, especially Brennan, were remarkable. In reality this show is inspired by the famous author Kathy Riches who is also a forensic anthropologist. Patrick Jane is a man who lost his wife and son to a serial killer when he made deductions about him on national television. Jane was actually working at a circus as a trickster and used to trick people by seeing their faces and deducting their emotions. Now he works with the new York police department’s team on homicide investigations. The homicide team consists of Teresa Lisbon, Grace Van Pelt, Kimball Cho and Wayne Rigsby. The entire department is surprised at Jane’s skills that he uses to close cases without the use of any proofs and how he gets the murderers to confess their crime. Jane Patrick can also tell if a person is lying or not, just by looking at them. Jane and the team also fight Red John along the way, the man who murdered his family. 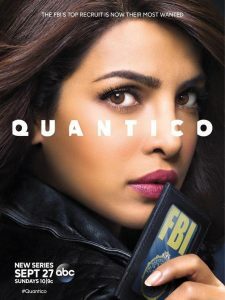 Quantico is about a group of FBI agents who go to Quantico to receive training. But there are some secrets the only a few possess that turn the whole game around. Alex Parrish, a bright agent, joins the agency but soon becomes the prime suspect of a terrorist attack on the Grand Central Terminal. This thriller drama is very engrossing and will get you hooked to it in no time. Richard Castle is writing a novel and needs to be a part of a homicide team to do more research. His interesting ideas and good reach among people help solve many crimes. Detective Kate Beckett and her team become the best division of the New York Police Department. 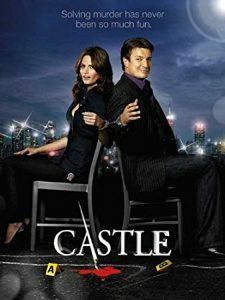 This series is very hilarious especially because of the antics of Castle. 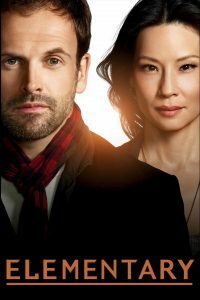 Elementary follows Sherlock Holmes and Joan Watson in Manhattan as they solve crimes. Joan moves in to Sherlock’s house to help him recover from his drug addiction. What she is surprised to find is a smart man with great deduction skills. Her curiosity takes her on an adventure with Sherlock where they solve crimes for the police departments. This popular TV series was developed on a really interesting concept and makes the audience question the unknown. X files follows the adventures of FBI agents Scully and Mulder as they solve crimes related to aliens! That’s right aliens and ghosts and anything that is unknown to us. 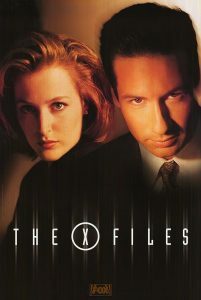 Scully and Mulder have become most famous crime fighting duo who embark on a supernatural journey! 15 facts about F.R.I.E.N.D.S that you did not know!